Why do I need a grounds pass? 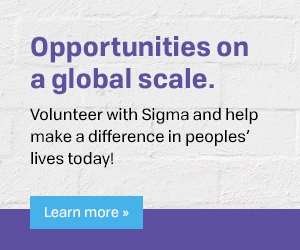 Be a current, active Sigma International member. Attend Sigma-sponsored or related events or activities offered during your visit to the United Nations, if opportunity allows. Network positively on behalf of Sigma while attending any event or activity. Submit a short, synopsis report regarding your United Nations experience to the Global Initiatives department for potential dissemination to our chapters, members, and regions. If you are interested in obtaining a United Nations grounds pass, please contact the Sigma Global Initiatives department at Global@stti.org a minimum of three weeks in advance of your travel, to a) request the pass, b) facilitate communication with the official Sigma United Nations liaison, and c) receive assistance for advance planning. · The grounds pass must be for a specific date range and you will need to specify if you want it for the United Nations facilities in New York, Vienna or Geneva. · To apply for a pass, specific information is required by the United Nations Department of Economic and Social Affairs. · Once your grounds pass has been endorsed by the Department of Economic and Social Affairs, Sigma Global Initiatives department will send you a signed official letter and a copy of the security form. You will need to have a print copy of the official letter and the security form as well as valid government-issued picture ID, such as a passport or driver’s license, when you pick-up your pass. Please allow a minimum of 30 - 45 minutes for this transaction, noting that during times of high visitor traffic this process may take longer. · Available grounds passes are limited in number, and we cannot guarantee always being able to provide them. · There may be areas on the United Nations campus that have restricted admittance and are not accessible, regardless of whether you hold a grounds pass. · You must comply with the requests and instructions of United Nations officials and security staff relating to access and use of United Nations facilities and premises during your visit there. If you have any questions or would like to request a grounds pass, please contact the Global Initiatives department at Global@stti.org. We look forward to hearing from you!